Simple and speedy, these hearty baked eggs are ideal for a lazy brunch. They’re also a great way of using up leftovers: try swapping the ham for some fried chorizo or, for non-meat-eaters, replace with a handful of roughly chopped spinach. Lightly grease 4 ramekins or ovenproof dishes with oil. Fry the mushrooms in a little butter over a high heat for a few minutes until golden and crisp. 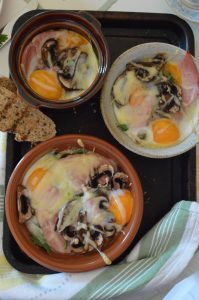 Divide the ham and mushrooms between the ramekins. Crack two eggs into each ramekin. Season with salt and pepper, and scatter over the Gruyere. Bake for 8-10 minutes, or until the whites are set but the yolks are still runny. Serve with toast for dipping. A light almond sponge filled with sweet cherries: get your fix of classic Bakewell Tart flavours without the need for a rolling pin. Make them up to four days in advance to save time on the big day – just remember to store them in an airtight container. Preheat oven to 190°C. Line a muffin tray with paper cases. Combine the flour, ground almonds, sugar, baking powder and salt in a large bowl. Pour the vegetable oil and milk into a jug. Add the almond extract and break in the egg. Whisk until well combined. Stir the milk mixture into the dry ingredients, until just combined. Divide the batter between the cases. 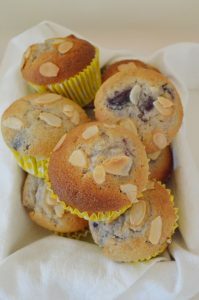 Sprinkle a few flaked almonds on top of each muffin. Bake for 15-20 minutes or until a skewer inserted into the centre comes out clean. 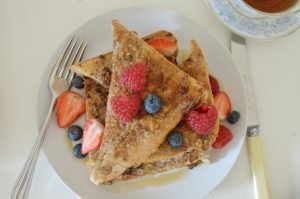 Spice up this delicious French toast with a good helping of warming cinammon. Make sure you thoroughly immerse each slice of bread in the egg mixture, giving it enough time to soak up the batter. 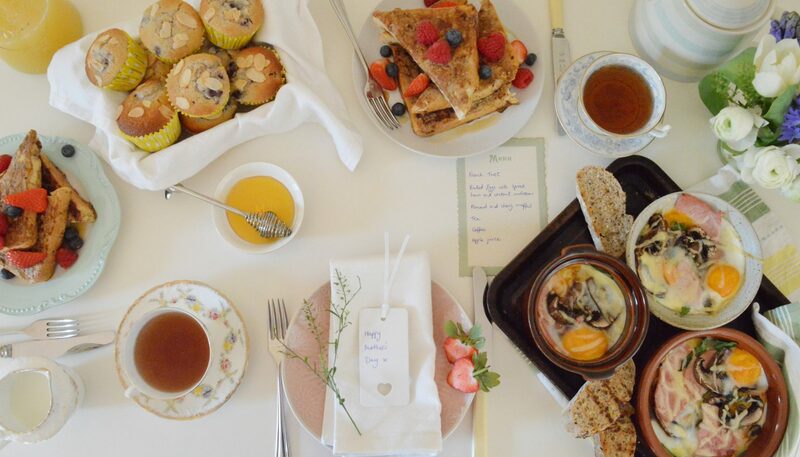 To serve, top with fresh, juicy berries and drizzle over a generous amount of syrup. Break the eggs into a large, shallow bowl and beat lightly. Add the milk, salt, sugar and cinnamon, and stir to combine. Heat a knob of butter in a large pan over a medium heat. Dip a slice of bread into the egg mixture, allowing it to soak up the liquid for a few moments. Repeat with the rest of the bread and egg mixture. Once the butter sizzles, add the bread to the pan. Cook until golden on both sides, flipping when necessary. Serve straight away with a scattering of berries and syrup for pouring.